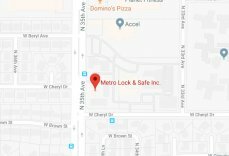 Schlage Locks Scottsdale | Local 24 Hour Service | Metro Lock & Safe Inc. When you need stylish, refined protection for your business and home, nothing keeps you protected like Schlage locks in Scottsdale. Metro Lock & Safe Inc. is your local source for Schlage locks, and we’ve got a wide array of keyless and keyed locks to meet any need. We don’t just sell Schlage hardware and locks though. We install them too. As your comprehensive provider for Schlage products, when you need the best locks and services from an experienced local supplier, look no further. 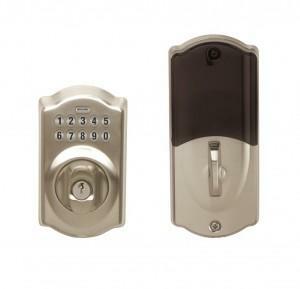 Schlage Deadbolts – These Schlage locks offer an exceptional degree of protection and safety. Often used to reinforce traditional locks, deadbolts make a break-in much more difficult while adding additional layers of security. We also have a wide array of Schlage locks and deadbolt combinations for the best traditional security system. A deadbolt can even be paired with a keypad or keyless entry lock, providing security and convenience in one place. Schlage Connect™ – For futuristic security that combines technological advances with safety chic, Schlage locks deliver. So many devices consumers use on a regular basis are wireless, pairing these with your home security system provides convenience and protection. The Schlage line of connected locks provides a number of choices. Many options are capable of interfacing with existing home automation and security systems. Entry is even easier with a wireless system, and you’ll never need to remember where you put your keys again. Schlage Keypads – From connected keypad/deadbolt combos to traditional keypads that can carry up to 19 unique codes, Schlage locks in Scottsdale allow for a vast number of configurations. Built with a deep sense of modern style and the latest conveniences, it’s no wonder so many residents in Scottsdale trust Schlage locks for home and business protection. No matter what the application or property type, Schlage locks deliver. We have options for intrepid home installation amateurs, but our Schlage lock installation services remove that burden and ensure a perfectly functioning system. We can set up and install smart locks, walking you through features, use, and functionality. Our technicians make sure you’re ready to command your home’s security before they depart. We also sell specific Schlage lock components and can repair worn or damaged locks. As your full service Schlage lock supplier in Scottsdale, we’re proud to offer a full range of services. Whether you need new Schlage locks, replacement of existing locks, or just want help determining the right security solution, we’re here for you. For cutting edge locks, friendly service, and a knowledgeable staff that provide the best deals on Schlage locks in Scottsdale call (480) 725-6544 or Contact Us today.